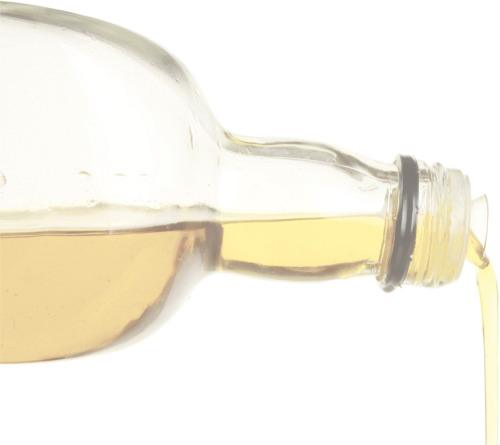 Olive Oil is seen as the liquid gold of Spain's Andalucia region. Olive cuttings (coming from plants like the one pictured) are relatively moisture free, making transport and collection economical compared to black poplar – a wood widely grown for use as biomass in Spain. The wood grows, like black poplar, in demarcated rows, facilitating its collection mechanically. Widely used throughout the Mediterranean and beyond for cooking olive oil, or its residues are also an important bioenergy source. Andy Allen reports from Spain. Across mainland Spain's southernmost region – the world's most important olive producing area – olive groves cover more than 1.4 million hectares. The vast majority of these groves produce olives for oil. Yet Spain's own liquid gold has more than just gastronomic value. Energy professionals point out that the olive crop generates biomass with a fuel value of 1.3 million tonnes of crude oil per year as a by-product. It is an eye-catching figure in a country that imports about 99.5% of its oil and natural gas. There is nothing new about olive power in these parts. Some rural homes have traditionally used olive wood cuttings to fuel domestic fires. The energy-rich olive stones left once the pulp has been extracted have also been used to power boilers. However over the last 15 years there has been a move towards a much more comprehensive use of olive residue as a bioenergy source. In 1995 the first plant powered by olive residue opened in the province of Cordoba, in central Andalucia. Now there are 15 power stations in Andalucia using olive biomass, generating 164 MW bioenergy per year, according to Maria José Colinet, Director of Renewable Resources and Energy Infrastructures at the Agencia Andaluza de la Energía (Andalucian Energy Agency). And a further three are due to come online this year with a combined power of 21 MW, Colinet says. And despite the recession, which has struck Spain hard, she says that there are still a “large amount of investment proposals coming through”. Given Spain's renewable energy credentials it is unsurprising that a significant industry has grown around this bioenergy source. The country has become a market leader in the solar photovoltaic (PV) sector and wind power. Earlier in 2009 US President Obama named Spain as one of three world leaders in the renewable energy field. Yet inside Spain there is a widespread sense that the bioenergy sector has failed to develop as expected. Heikki Willstedt, Energy and Climate Change Expert at the Spanish office of WWF, points out that Spain's 2001 Renewable Energy Plan anticipated that the country would be generating 3 GW per year by 2011. 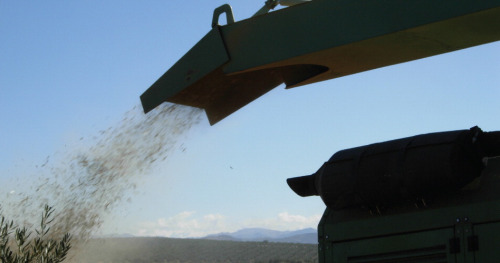 Even though the target was considered outlandishly optimistic at the time, the 638 MW bioenergy Spain generates annually from biomass still falls far short of even realistic expectations. As it stands there is a sense in Spain that the future of one of the olive bioenergy industry is at a crossroads. According to Marie Jose Colinet every hectare of olive grove generates three tonnes of olives as well as around three tonnes of pruned wood annually. In addition to this it generates two tonnes of what the Spanish term orujillo – the energy-rich substance created after all oil has been mechanically and chemically extracted from olive pulp. Orujillo is effectively the low-hanging fruit of the bioenergy sector. It is easy to collect from its source – the 2000 or so processing centres across Andalucia – and transport. Using it as a bioenergy source also saves the farmer the labour of safely disposing of a material that can cause pollution if it leaks into the soil. These advantages mean the bulk of power stations using olive biomass in Andalucia as a bioenergy source use orujillo. To Jose La Cal, head of the Energy Agency in Jaen, which lies at the centre of Andalucia's main olive growing region, orujillo is “easy biomass”. This makes it all the more regrettable that a more developed sector has not grown up around it, he believes. Nearly 800,000 tonnes annually have been exported in recent years (though this has dropped to around 500,000 last year), mainly to EU countries like Italy and the UK. The reason is that these countries benefit from Green Certificate schemes which allow them to pay orujillo producers higher prices than Spanish firms. This however negates much of its value as an environmentally friendly fuel. In any case complaints that the orujillo has failed to live up to expectations are dwarfed by the failure to exploit a much larger bioenergy resource: the pruned wood cuttings. Several times a year olive farmers prune their trees to stimulate growth and ensure they remain disease free. Then, in a traditional ritual which is marked by plumes of smoke across the countryside, cuttings are burned in the countryside to avoid wood building up and contaminating healthy trees. The process is labour intensive, causes the release of large amounts of CO2 and particle emissions, and also presents a fire risk. Little wonder that olive cuttings are seen as a natural biofuel. "Spain's own liquid gold has more than just gastronomic value. Energy professionals point out that the olvie crop generates biomass with a fuel value of 1.3 million tonnes of crude oil per year as a by-product." A team at the University of Jaen's department of chemical and environmental engineering has been studying the viability of converting the wood to bioethanol, a bioenergy product with high added value that can be used as fuel, in mixtures or replacing petrol. So far the team, under Professor Eulogio Castro, has found that with available technology the equivalent of 200,000 tonnes of oil could be extracted from the available cuttings in Andalucia. At present his team is engaged in a study to lay the groundwork for a biorefinery which obtains a range by-products as well as ethanol from olive cuttings. “One of the main features of this biomass, in addition to being renewable, is that it is not competing with any other use as a foodstuff or animal feed, unlike other renewable raw materials that are used today in the production of biofuels such as corn,” says Professor Castro. If extracting ethanol from cuttings is still at the research stage, there is no novelty in using olive wood as a fuel for power stations. According to Casimiro olive cuttings are relatively moisture free, making transport and collection economical compared to black poplar – a wood widely grown for bioenergy use in Spain. The wood grows, like black poplar, in demarcated rows, facilitating its collection mechanically. Yet at present only 14% of cuttings generated are used for bioenergy purposes. Using all the cuttings generated would provide 200 MW of electrical power, according to the Andalucian Energy Agency. Valoriza Energia is one of the few companies that has adapted its plants to use cuttings as well as orujillo. According to Juan Luis Casimiro plants now typically use 50% orujillo and 50% from other woods. Even so, only a small part, perhaps 4-5% of the total, is from olive wood. There are several reasons why olive wood has not taken off as much as hoped. According to Casimiro early technical setbacks within the sector deterred investment. “The process of controlled combustion in a closed environment for 365 days a year is, industrially speaking, highly complex,” he says. Now the basic technological issues have largely been resolved, he says. Yet it is only in the last two years that plants have started to use cuttings as a fuel. There has been no time to allow for the development of a much-needed service sector to aid in collection and transport and the costs of collecting olive wood in the countryside are simply too great to be economically viable given current electricity tariffs. One solution to this problem lies in mechanising the collection of the wood. Valoriza Energia itself has produced four prototypes of a self-propelled automated pruning machine, which it has developed with the Andalucian Energy Agency. "Every hectare of olive grove generates two tonnes of orujillo - the energy-rich substance created after all oil has been mechanically and chemically extracted from olive pulp." “Every year the prototypes go into the field at pruning time and we make improvements based on their performance,” says Casimiro. He believes such technology will at least partly improve the viability of the collection of cuttings. 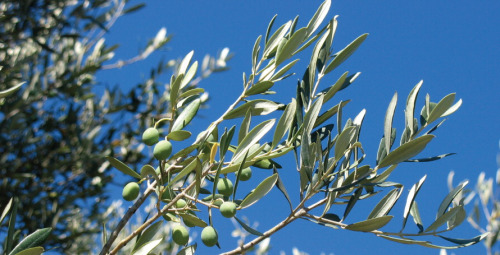 More controversial is the question of what, if anything, olive growers should receive in return for supplying their cuttings to bioenergy companies. This has proved a thorny issue among some growers who see bioenergy companies profiting from their material and want a slice of the action, according to Willstedt. Bioenergy power producers are adamant that their margins are not high enough to allow them to pay the olive producers, and say that in fact saving the farmer the labour of burning the crop, leaves him better off than under the traditional system. Casimiro says perhaps in the future it will cost the grower less to prune and burn their cuttings but it is unrealistic to expect them to receive income for their cuttings. "Earlier this year Zapatero [the Spanish President] argued in favour of a stimulus package for the Spanish economy arguing that "green spending", particularly that affecting renewable energy would be a good investment for the future." Meanwhile even increasing the mechanisation of biomass collection will not rule out the need for what Casimiro terms “administrative help” in the form of higher feed-in tariffs. This is the system used in Spain to determine the premium which must be paid by law to renewable energy producers who supply to the national grid. One touchy subject for advocates of bioenergy is the support given to the thriving solar PV sector under Spain's current Renewable Energy Plan 2005-2010. “Right now feed-in tariffs for photovoltaic energy are around double those for biomass but until September last year they were three times as high,” says La Cal. He also believes the lack of electrical infrastructure and shortage of points where power plants can connect to the national grid is exacerbated by the fact that many of the existing connection points are given to solar PV sites. In his opinion the excess tariffs and support given to the solar PV sector have unfairly skewed Spain's renewable energy market in its favour. This in turn has helped prejudice public opinion against renewable energy in general, he says, pointing to complaints that feed-in tariffs put an “unjust burden” on the taxpayer. In La Cal's view favouring bioenergy generates more benefits in terms of the employment it creates throughout the logistics chain. Willstedt at the WWF is not convinced bioenergy is automatically superior in any social sense to solar PV power. He says the rents paid by solar PV sites have provided much needed income for many rural communities. In any case the bioenergy sector strongly believes the Government should grant it higher feed-in tariffs. In addition to this La Cal believes it needs to be governed by a more sophisticated strategic approach than a simple tariff can provide, considering the potential benefits it could bring to rural Spain. Help may be at hand from José Luis Rodríguez Zapatero's Government. Spain's new Renewable Energy Plan, to run from 2011-2020, is currently under consultation and will supersede the current renewable energy plan. Earlier this year Zapatero argued in favour of a stimulus package for the Spanish economy arguing that “green spending”, particularly that affecting renewable energy would be a good investment for the future. According to the Ministry for Industry, Tourism and Commerce details of the new plan will not be released until mid-2010. But a spokesman added that in questions concerning renewable energy, the ministry generally considered the more developed an industry was, the less state aid it required. "if the logistic and regulatory challenges can be overcome, Andalucia's liquid gold [olive gold] may yet win another kind of lustre." On the other hand, Zapatero's own finance minister has publicly stated that he does not think the country can afford any kind of stimulus. If his view prevails there will be surely be less money on the table for renewable energy. Yet Heikki Willstedt believes simply increasing the feed-in tariffs may not be the answer. According to Willstedt this will simply lead to more consternation from olive growers, and it may make more sense to give money directly to the growers to collect the wood, and at very least there should be a study into whether feed-in tariffs are the best way to help the bioenergy sector develop. Willstedt also cautions that steep rises in petrol prices could make the costs of transporting the cuttings even higher. It seems that while over the last decade or so olive oil has become the gastronomic darling of the world, olive-based bioenergy have yet to win quite such a hold in the marketplace. Yet if the logistic and regulatory challenges can be overcome, Andalucia's liquid gold may yet win another kind of lustre.